Bay of Biscay. Three little words that strike terror into the heart of sailors and landlubbers alike. The storm-tossed seas are a barrier that must be crossed on a cruise from Southampton or Dover to the warm waters of the Mediterranean or the Canaries. Quickly, before it turns round and bites. Its location between France and Spain attracts winds which follow the Gulf Stream across the Atlantic, and the shallow seabed exaggerates wave motion – all of which can make it as uncomfortable as trying to soak in a Jacuzzi while riding a roller-coaster. I still have a framed certificate, proudly displayed among the souvenirs in my downstairs loo, to mark the fact that I survived two days on board Black Watch in storms of up to Force 12 in 2004. I came through the experience unscathed but the ship’s nose was put out of joint, its steel plates crushed in by the force of the water. Biscay can also be benign and there are rewarding destinations along its coast for those prepared to dawdle rather than race. I risked a visit towards the end of October, long after the warm – and elusive – rays of summer sun had disappeared. Cruise ship Balmoral, the largest and best-equipped in Fred. Olsen’s fleet of four, was my chosen vessel. A cosy, country-house hotel of a ship that I was confident would carry me safely through the Bay. And so it did. After a couple of nights being rocked gently to sleep as if by the hand of an unseen Mary Poppins, our first stop was at the French port of La Rochelle. Our tour bus passed the crumbling concrete hulks of U-boat pens from the Second World War before taking us to the Old Port for a history lesson going back to the 100 Years War and the 17th Century Huguenot rebellion. Coming up to date, we crossed the 2.9km bridge to the Île de Ré, a popular tourist island to which Johnny Depp has occasionally taken a taxi. Kite-surfers were making the most of a strong breeze, which for visitors like us meant an extended examination of the Tintin shop on the quayside of St Martin was preferable to a bracing stroll on the beach. 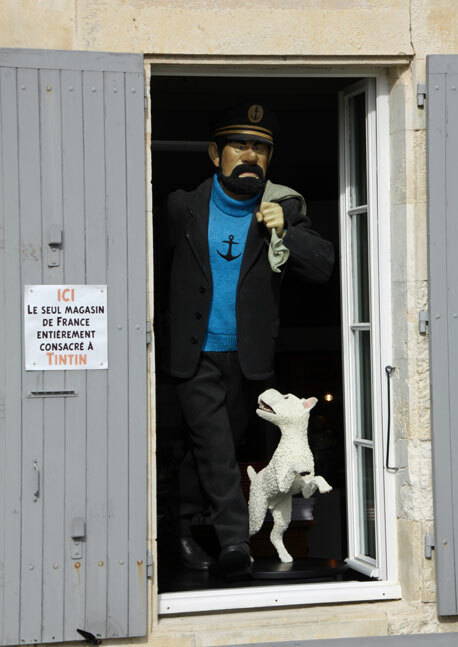 And it provided an opportunity for Captain Greybeard to meet Captain Haddock. Next stop, Bilbao and a tour that delivered us to the striking exterior of the Guggenheim Museum but left no time to explore inside apart from a brief comfort stop. The big surprise of the week came the following day with our arrival in Avilés, only the second time a cruise ship has ever visited this Asturian city. Its futuristic Oscar Niemeyer International Cultural Centre (above) looks like something out of a 50s sci-fi movie and would be the perfect location for an episode of Dr Who, but it has proved no match commercially for the titanium-clad saviour of its near-neighbour. Away from the town’s wind turbine manufacturing sites, however, Avilés has a charm all its own. On a sunny autumn morning the Plaza España was a pleasant place to enjoy a coffee at a fraction of the price expected at more famous tourist magnets. And it came with free tapas. At the far end of the Calle de la Cámara shopping street is an imposing church dating from the 13th century and dedicated to St Thomas of Canterbury – or Thomas à Becket as we know him. In between is a modernised market hall packed with an appetising abundance of fresh fruit, veg, meat, fish and flowers. 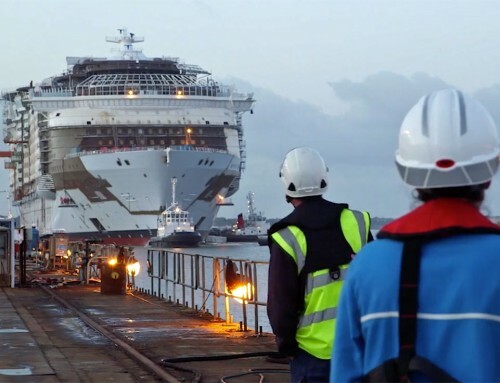 And, particularly welcome to visiting cruise passengers on the continent, clean toilets. The weather was deteriorating by the time Balmoral made her final stop of the cruise at La Coruña but we dodged the storm showers on a half-day pilgrimage to Santiago de Compostela. By early afternoon we were back on board and heading for home. Two more days of gentle rocking as we took elegant afternoon tea in the Observatory Lounge, relaxed over a beer in the Morning Light pub, contested a fiercely competitive quiz in the Lido Lounge, and enjoyed one last formal night dinner in the Ballindalloch restaurant. All too soon we were tying up back in Southampton. For once, the Bay of Biscay had behaved. Unlike many modern cruise ships, Balmoral does not have any extra-cost speciality restaurants and there are two sittings for dinner. I find the Avon and Spey dining rooms on Deck 10 more intimate than the Ballindalloch and they offer better views. Make the most of them during open-seating breakfast or lunch if your assigned dinner table is in the main dining room. Fred. Olsen has a similar itinerary this year on the slightly smaller Braemar, which carries 930 passengers. 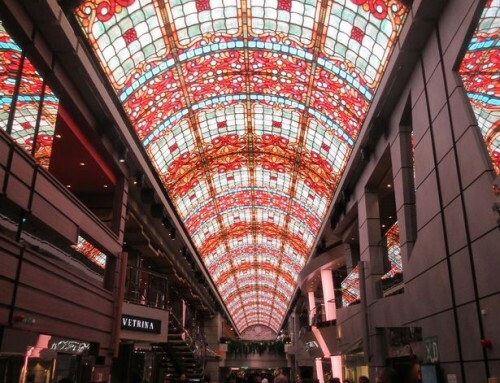 Departing from Dover on October 4, the 10-night cruise visits La Rochelle and stays overnight in Le Verdon for excursions to Bordeaux, before continuing to Bilbao and La Coruña. 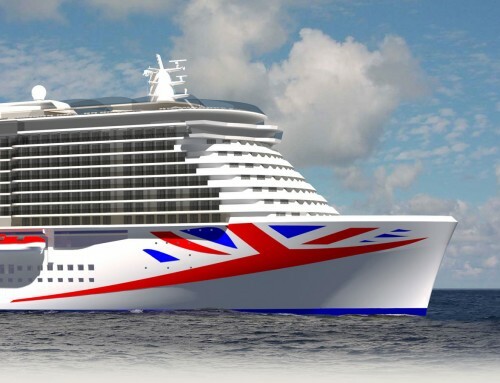 Fares from £979 pp, based on two adults sharing an inside cabin. TV wine expert Jilly Goolden will be on board, hosting a program of tours and tastings (extra charges may apply).